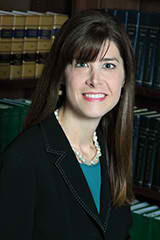 Jennifer Simpson is an attorney in the Corporate and Transactional Law Department of Moore Ingram Johnson & Steele, LLP. Jennifer originally joined the firm in 2007 and practiced corporate and intellectual property law for four years. After being a stay at home mother for several years, Jennifer returned to the firm in 2015 to continue her practice. Prior to law school, Jennifer obtained her undergraduate degree in Management with an Accounting Certificate from the Georgia Institute of Technology with Highest Honor in 2004. Jennifer then attended the University of Georgia to receive her law degree. During her time at the University of Georgia, Jennifer was awarded the State Bar of Georgia Award for Excellence in the Study of Labor Law American Bar Association as well as the Bureau of National Affairs Award for Excellence in the Study of Labor Law. Jennifer is admitted to practice in all State and Superior Courts in Georgia, the Court of Appeals of Georgia as well as the Supreme Court of Georgia. Jennifer is also admitted to practice in the United States District Court for the Northern District of Georgia.